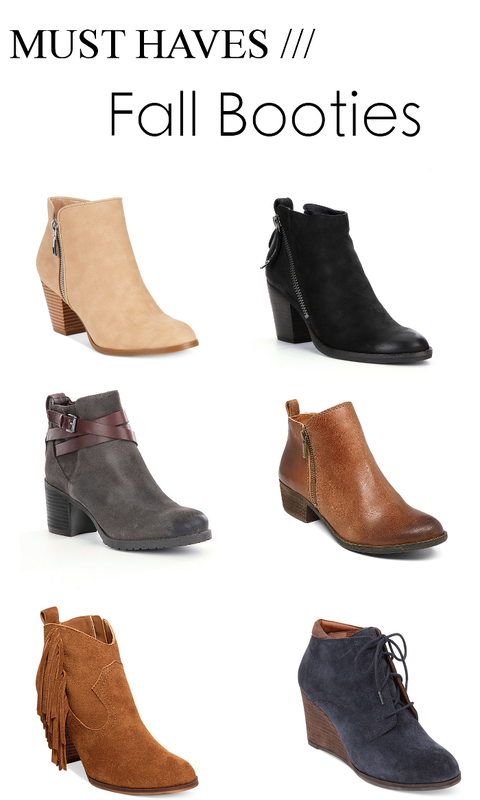 I just can't get enough of booties for fall...they're so comfy and easy to slip on and off. I definitely already have a bit of a collection, but can't help wanting to add a few more. There are so many new styles and colors popping up everywhere. I feel like the majority of my booties are cognac or dark brown, so I've been on the hunt for some other color varieties like grey and navy. Below I've linked some of my favorites, and would love to know what your favorite style of booties are, leave me a comment and let me know!